You can also add other Atera variables, using the syntax shown in the message editing template area of your Atera admin screens. Click ‘the Generate HTML’ button. Copy the HTML generated in the box on the right hand side, ready for the next stage. Go to Admin > Customer Facing, then click the Email Templates button. Select the existing new “Ticket closed” template or use the panel on the right to create one. Ensure your ticket closure message is ‘friendly’… use the merge fields which can be inserted via the colored buttons above the toolbar to customize. 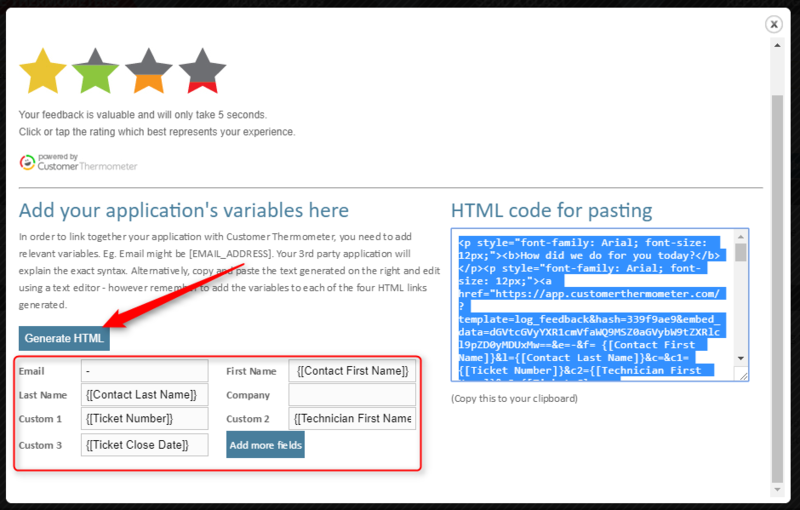 Copy the HTML code block generated via your Customer Thermometer screen from the earlier step. 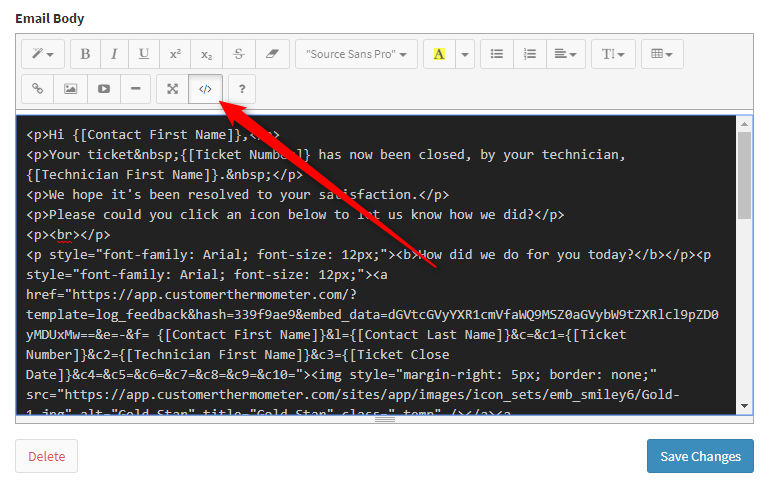 Paste that code block at the relevant point within the email template message. Your email template is now complete. Recreate the Automation rule shown below – ensuring you select the correct email template within the Action (you may have named yours differently). 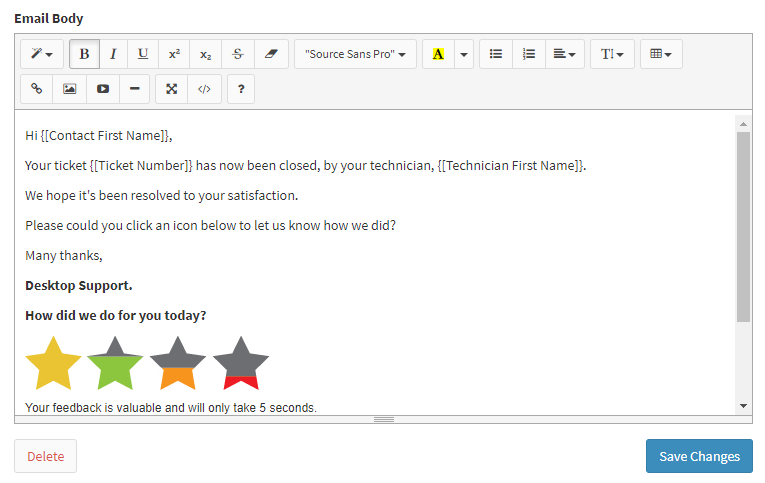 In your Customer Thermometer reporting area you will be able to see who responded, the rating and comment left, the ticket number, the technician name and more.